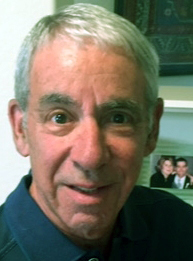 Jim Dallet is an experienced SCORE Naples counselor/mentor. Jim has over 10 years with SCORE Naples where he is one of the most requested counselors by clients. Jim received SCORE Naples’ “2015 Volunteer of the Year” award. On his 10th anniversary, Jim was awarded “City Planner” designation, a coveted status. Jim is a pharmacist by degree but ventured out into drugstore management where he ran a chain drugstores. Jim opened his own pharmacy in 1979 and then sold it to one of his pharmacists in 2000. Jim’s success centered around niche marketing, providing services that other pharmacies were not providing. Today, Jim is a major partner in a state-of-the-art Long Term Care Pharmacy in Wisconsin. Jim is a Vice Chair of the Naples Chapter and serves on the Board of Directors. As one of the top counselors, Jim has worked with his clients to help start over 21 businesses and over 345 jobs in the Naples area.